Spark is at the heart of today’s Big Data revolution, helping data professionals supercharge efficiency and performance in a wide range of data processing and analytics tasks. In this guide, Big Data expert Jeffrey Aven covers all you need to know to leverage Spark, together with its extensions, subprojects, and wider ecosystem. 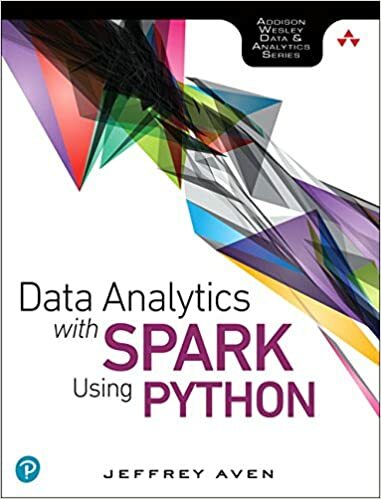 Aven combines a language-agnostic introduction to foundational Spark concepts with extensive programming examples utilizing the popular and intuitive PySpark development environment. This guide’s focus on Python makes it widely accessible to large audiences of data professionals, analysts, and developers—even those with little Hadoop or Spark experience. Aven’s broad coverage ranges from basic to advanced Spark programming, and Spark SQL to machine learning. You’ll learn how to efficiently manage all forms of data with Spark: streaming, structured, semi-structured, and unstructured. Throughout, concise topic overviews quickly get you up to speed, and extensive hands-on exercises prepare you to solve real problems.